Refreshingly different, and with the unique bride in mind, the brand’s Astral collection welcomes us into a couture galaxy of eight new sartorial stars, including Alisha, Annabel, Arya, Alma, Anjali, Antonia, Alyona and Agnes. Dive headfirst into the new line and discover everything from ethereal feathers, bold lines, contemporary necklines, romantic movement and a pearl-encrusted jumpsuit (Agatha) that will instantly win your heart. 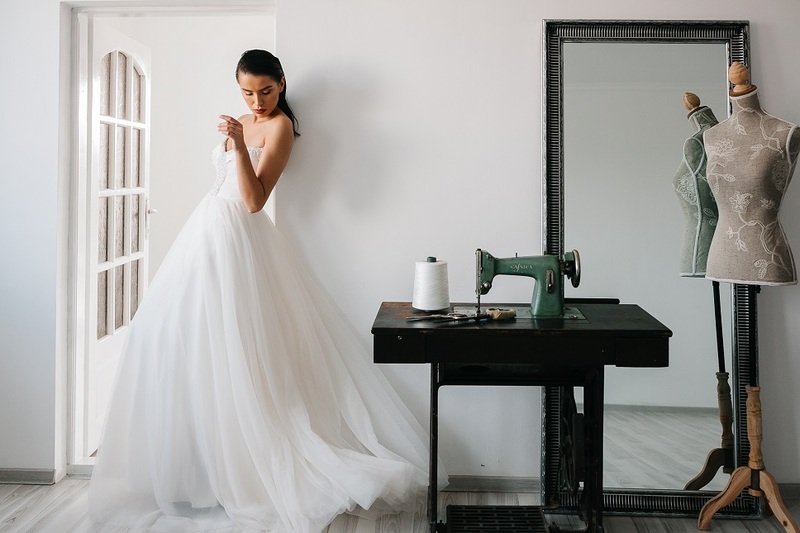 Plus, you can rest in the knowledge that each and every piece of material is handpicked by the designer, every glittering crystal or pearl hand-sewn, and every dress designed to suit and showcase a bride’s individual personality and style. What I also love about this label, alongside their creative approach and first-class craftsmanship, is the fact that not only can they offer a customisation and made-to-measure service in a matter of weeks (we’re talking just a few here ladies, which is HUGE if you’re on a tight deadline for the aisle) but the brand itself only produces a small number of their dresses. Meaning, that that individual gown you’ve been fawning over is even more individual to you. 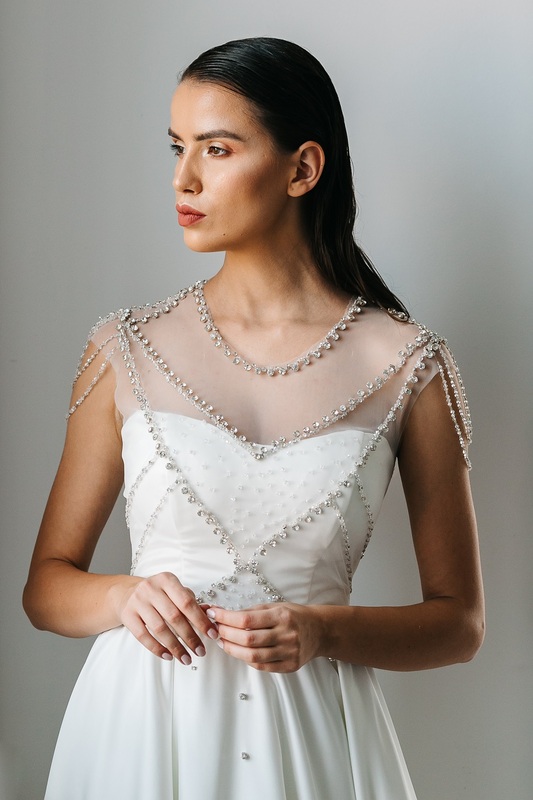 Having unveiled the debut collection, Astral, in 2018, BrideWalk was born out of a partnership between an acclaimed young designer and a marketing professional turned entrepreneur. 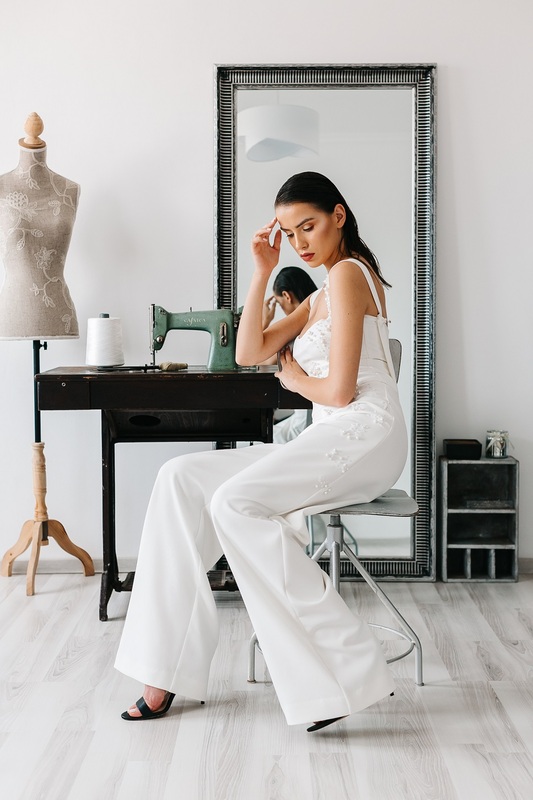 The designer, Mihaela Birceanu had a history of designing and handcrafting bespoke occasion wear for five years before diving headfirst, needle and thread at the ready, into the enthralling allure of the bridal world. Recognised in 2016, having been rewarded the Young Designer award at Bucharest Fashion Week, Mihaela then debuted her first haute couture collection. 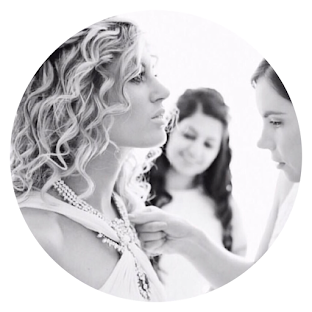 While, on the other side of the creative pairing – waving her marketing wand – is Livia Stanciuc, BrideWalk’s Director. Definitely one to keep your eye on, bridal babe. Want to discover the brand’s debut Astral Collection? Click here.